Also, I wanted to ask you about the necessity of the pink noodles. I forgot why they are there. And, I love , Love , My boat. Pole holder made with 1×3 wood, painted and decorated. I used PVC 45 degree bends and bolted them onto wood frame. 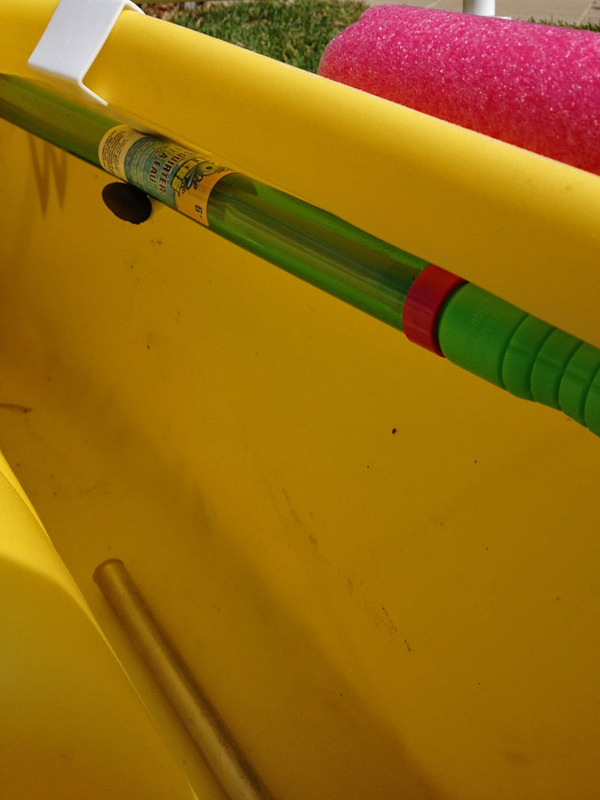 Bailer, Dollar Store squirt gun. Clips from the Dollar store too. The foam noodles (not everyone gets them in pink!) 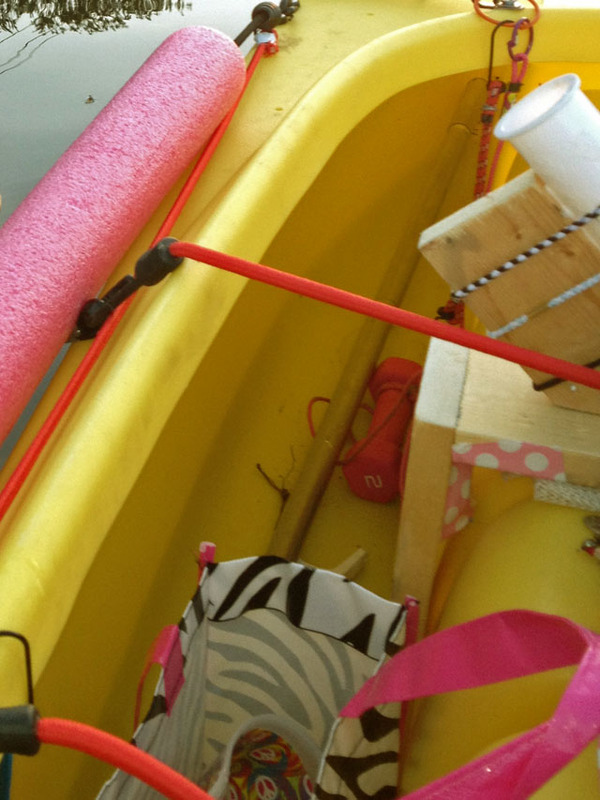 are flotation modules that help recover the kayak in case it’s overturned and swamped. 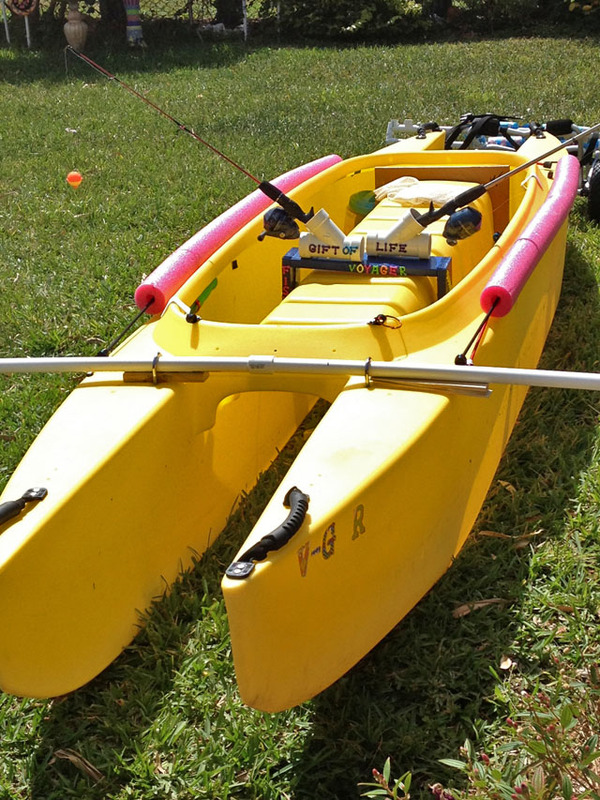 If they’re in your way for fishing you can attach them under the kayak’s saddle. This rod rack is a work of art, and the barbell anchor is a gem 🙂 This is a great looking fishing machine! I have watched more movies on kayak rigging than I care to admit. 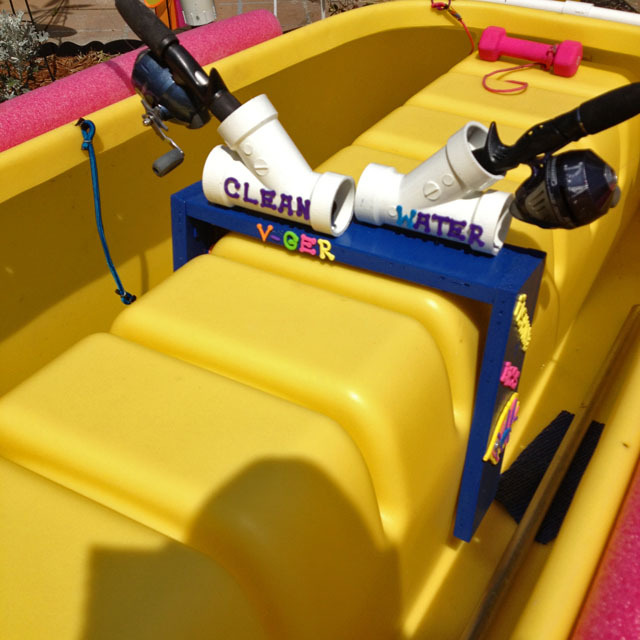 Your rod holders are an excellent idea that I’ve never seen before. I’m guessing that the pipe across the hulls are part of an outrigger? If so, you will be glad to discover (over time) that they are not needed. It’s just that the W’s slim profile makes it look like it can’t be as stable as it is.